collage2, originally uploaded by jahansell. I spent a chunk of the afternoon in Salisbury (read more here about what I was doing there) and took a quick walk around to take pictures of the scarecrows in the Fall Festival. A tour of the day's events, here. 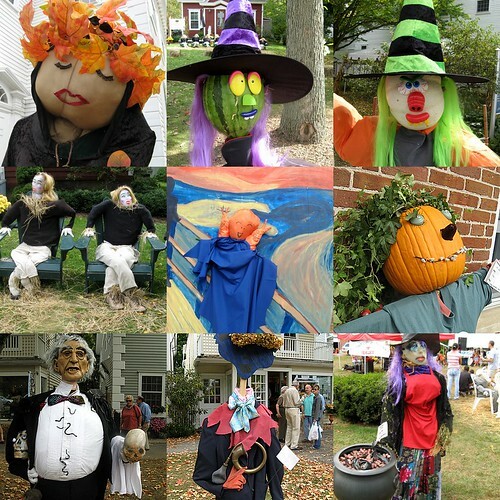 Great Fall and Halloween photo collage! Fine photos of fun to be had by all, no doubt, who enjoyed the Fall Festival. What a great collage. All fabulous, colour scarecrows. Such fun.